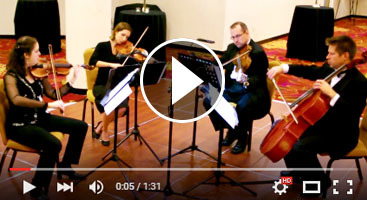 Depending on the type of event you’re hosting, the budget, and your general preferences, the size of the string ensemble you hire could vary considerably. You might just need one cellist to accompany a vocalist at a wedding, or even require a five-person string ensemble for hours of play at your black tie event. But what are these instruments you’re hiring? If you haven’t had a refresher on stringed instruments since fifth-grade music class, here are the instruments that are available for classical string quartets, trios, quintets, and more. There’s not a more easily identifiable stringed than the violin. The violin is a staple of orchestras, and is often the most plentiful instrument found in them. 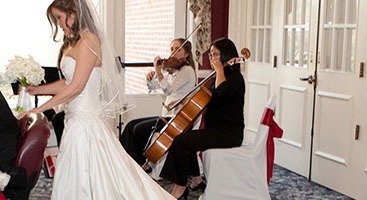 Violins often carry the melody in a wedding string quartet. Fun Violin Fact: There’s no physical difference between a violin and fiddle. The name difference really comes down to how it’s played and the style of music. Remember up above when we said that violins are easily identifiable? Well, violas are often identified as violins as well! That’s quite the mistake, though, as violas are slightly larger and have a lower and deeper sound. Fun Viola Fact: Violas are one of the few instruments to commonly use the alto clef of music, as opposed to the more common treble and bass clefs. The cello is played in the upright position and supported by a peg, as opposed to violins and violas which are supported by the chin. 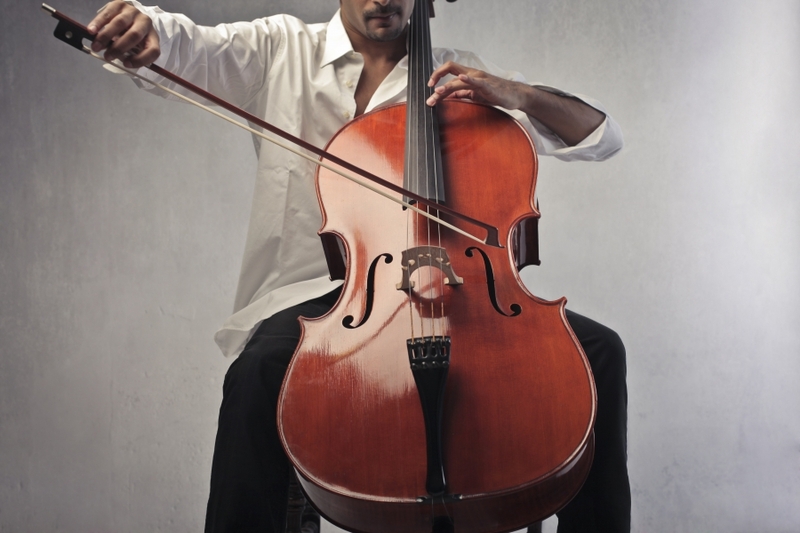 Because of its size, the cello has a deeper sound than the viola, and both are considered to be in the violin family. Fun Cello Fact: The plural of cello is celli. The double bass, also called the upright bass, standup bass, contrabass, or acoustic bass (to distinguish it from the electric bass guitar) is the largest commonly-played string instrument. It’s used in orchestras, as a solo instrument, and in jazz ensembles. Fun Bass Fact: Orchestral players often play with a bow, which is called arco playing. Nightclub bassists will most often play by plucking the strings, called pizzicato. 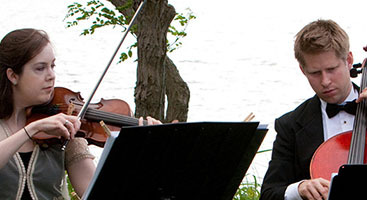 Whenever you have your event and hire a string ensemble like Perfect Harmony Strings, you’ll know a bit more about who’s coming and what they’re carrying. Ready to invite some stringed instruments? Contact us today!